Packing almost done. Leave tomorrow morning for a week's worth of teaching at the ANG Seminar in New Orleans. 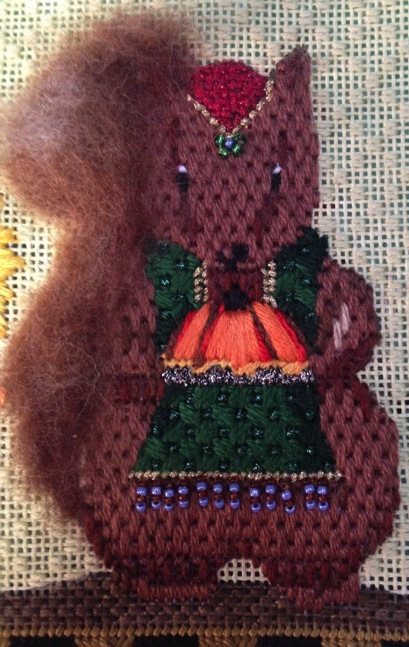 We'll be playing with Hairdos, needle felting and beads - what more could a girl ask for? Well, beignets to start with and pralines next! It is New Orleans after all! Looking forward to seeing ole friends and meeting new ones. And what's more, I will be able to put some more faces to the wonderful participants of my Online Mystery Classes! Just about have everything ready for our next lessons coming up! 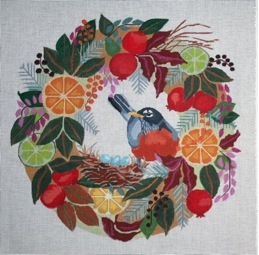 We will be posting our first lesson for Robin's Wreath by Melissa Prince. Invoices have been mailed to all that have registered. If you did not get your invoice, email me right away to duodesignsinc@yahoo.com. For those payments that have been processed you should have been invited to the secret Facebook page. 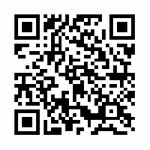 If you did not receive the invitation, please email me on that as well. And, finally, if you did not sign up but wish you had, email me on that too. There is still time and if you need assistance finding a canvas we have some shops that have emailed me that they have them in stock ready to go! First lesson September 15!!! Active registration is in place for our last Online Mystery Class for 2016! 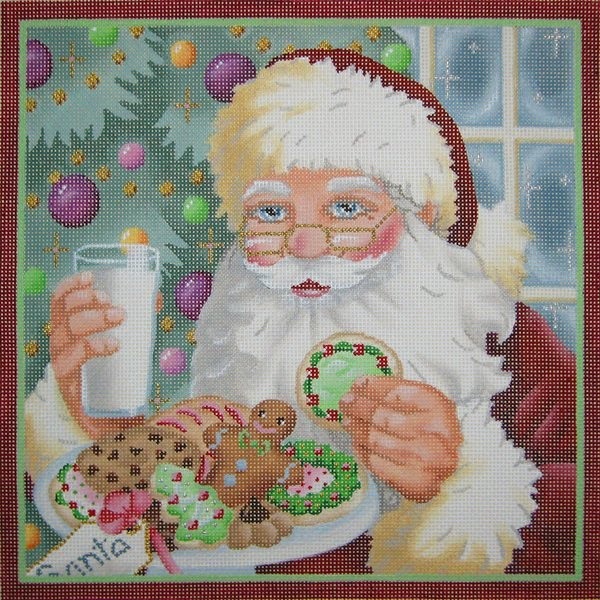 Santa's Reward by Devon Nicholson. Email me at duodesignsinc@yahoo.com if you would like to join us on this one. Invoices will begin processing on October 1st and the first lesson will be posted on November 15. Next up is our next lesson for the Pillow Collage! Lesson 3 already! Really? Gosh. We did some fun or nue`, worked with WireLace, and single loop braid just to name a few things we covered in Lesson 2. Who knows what I have in store for Lesson 3? Stay tuned to see. Fun and funky! That's what the next Online Mystery Class offers. Happy Haunting Grounds by Eye Candy is up for its Lesson 3! Saw lots of green in Lesson 2 but our backgrounds are all in and we are ready to play with who knows what? Get those needles sharpened! Here we come on September 15! Over on our sister blog - www.needlesnfin.blogspot.com , we are very busy getting people registered for our Party on the Po! 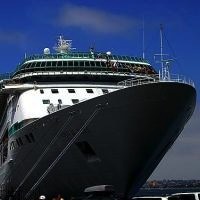 There is a fantastic deal being sponsored by the cruise line - FREE AIRFARE for many eligible participants. You must register for a Category 1 or Category 2 to be eligible and you must be close to a participating airport - we (hubby and I) have to drive to Cincinnati Airport - but hey for free airfare! And, for you landlubbers! We will be posting just any minute the details for our upcoming HAVE A BLAST IN BOSTON! tour. We have two lovely shops on our agenda for this Boston/Cape Cod adventure! Be sure to watch for this one. It is scheduled for 5 nights beginning June 8, 2017. Okay, so gotta go finish packing and get myself ready for a birthday date with our son tonight. Oh, did I mention that today is my birthday! I am so blessed! ANG SEMINAR 2016 - NEW ORLEANS! We have been advised that all is well in New Orleans and plans are moving forward. This time next week I should have everything ready to get onboard a plane Sunday! Wow. It is really, really scary how fast time is going. I am teaching three fun classes and I have a surprise for my students in one of them! YAY! I love surprises! Be sure to visit the Exhibit if you are in the area. 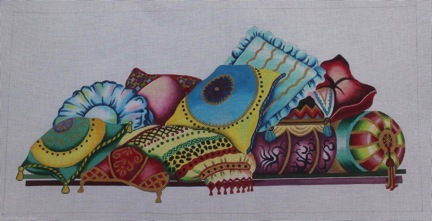 So many beautiful pieces and hours and hours of lovely stitching is shared for us to enjoy! Registration is still active for our next Online Mystery Class - Robin's Wreath by Melissa Prince. And we might even be able to help you find a shop that has a canvas in stock. Several shops are happy to prepare thread lists for you as well. You just need to give them the thread list. I know he is beautiful but oh my gosh I am loving it more and more with each new set of stitches and threads that I add! If you would like to join us just email me at duodesignsinc@yahoo.com. Active registration is also going on for the last Online Mystery class of 2016 which is this delightful Santa's Rewards by Devon Nicholson. There is so much potential in this design. I have to contain myself to not 'overdo' it! I see this and I see that, but wait wonder how this would work, no, how about that? Oh well, you just must come join us and see how he develops! Email if interested to duodesignsinc@yahoo.com First lesson November 15, 2016. In a few weeks I will be sharing with you the lineup for 2017! So exciting! You don't want to miss out on that one. The big buzz right now is the upcoming PARTY ON THE PO! hosted by Needles 'N Fins! We already have 20% occupancy of the boat! Isn't that fun? 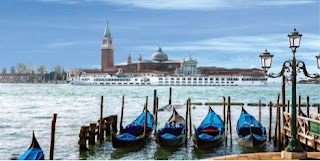 The trip is October 19-29, 2017 - Milan - Venice with gobs of stuff in between. Heck we're even going to work in some stitching - somehow! If you would like to join the secret Facebook page of Needles'N Fins for general information on all our travel plans just send me an email and I'll be happy to send you an invitation - duodesignsinc@yahoo.com The secret Facebook page PARTY ON THE PO is reserved for those who are actually taking the trip! I'm working on some optional designs and gathering designs from some of my favorite designers to share with those who might be interested. 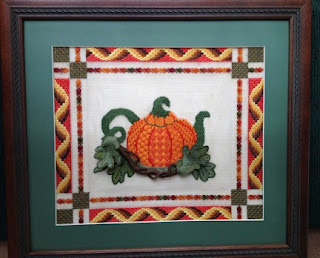 And, hopefully later this week we will be announcing our land tour that will be Boston-Cape Cod in early June for those landlubbers who also like to stitch. 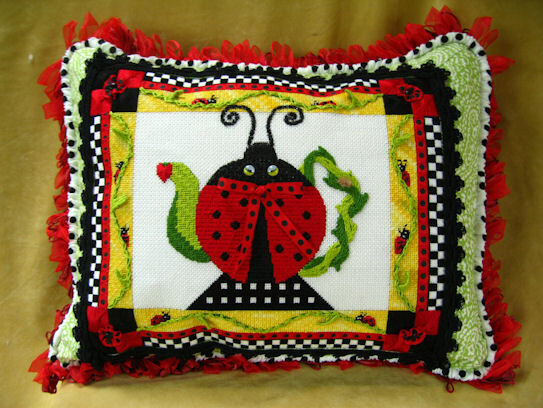 We will visit two needlepoint shops and have classes indicative to both areas! So, stay tuned! You don't want to miss anything! See if an eligible airport is in a city near you! We are the Gems of Northern Italy! ROBINS ARE SINGING BUT IT IS NOT SPRING! Our next Online Mystery Class - Robin's Wreath from Melissa Prince - is in full swing! First lesson will be posted on/or about September 15! Just around the corner! Also happening in a couple days is the posting of Lesson 2 of the fun Happy Haunted Grounds from Eye Candy. Lesson 1 gave us our background grasses and hills so we are ready to start adding another layer! Whatever are we going to do next? And once again we must say goodbye to a fun friend. 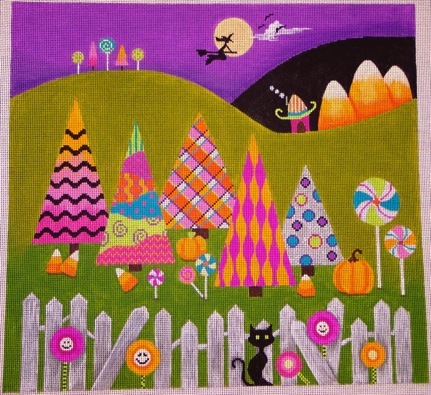 We will be posting the final lesson for a fun canvas from Melissa Shirley - Thanksgiving Critters! We finished the squirrel last time. Not much mystery as to who we will be working on next but there is a mystery in what we will be doing to him! Several things are going on here at Arthur Acres. I am preparing to get my suitcase packed for heading out to teaching three classes at the ANG Seminar to be held at New Orleans It is going to be a special treat for me because I also plan to get to go to the John Stennis Space Museum and hopefully view my NASA Patch that I completed and my daughter's patch that she completed. That will be so cool! 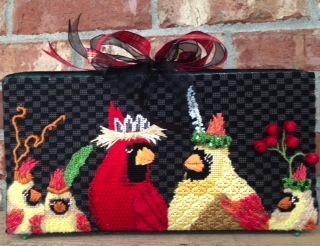 Registration is going on for the Cardinal Family class that I am teaching at STITCH in Louisville, KY in October. 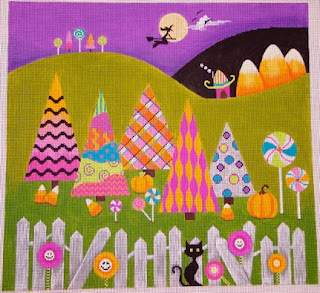 This is a Melissa Shirley canvas. The shop is taking sign ups for ghosts as well so come join us for the fun! We'd love to have you. And we are spreading our wings again and reintroducing the Needles 'N Fins cruises and tours. 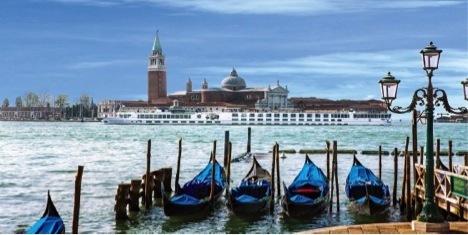 We currently are accepting reservations for the upcoming Party on the Po which is a river cruise on the Po River in Italy. This fun adventure will begin in Milan on October 19, 2017 and end on October 29, 2017 in Venice. And there is a whole bunch of stuff in between! Reception has been fantastic and we already have a great group of people joining us. Everything in Italy is included - excursions, food, wine, drinks, and - get this - even gratuities! Oh! Did I mention wine? Can't beat that! To see more details go visit our sister blog at www.needlesnfins.blogspot.com . There you will be able to read the flyer and see what great excursions we are planning. In addition, I am designing an optional cruise specific piece to teach on this trip as well as some fun ornaments! Stay tuned to see those develop. BULLETIN: The cruise line has advertised a special of FREE AIRFARE on this cruise for those making reservations by August 20 - clock is ticking on this one! So what are you waiting for? Come along and play with us - this time in Italy! Also, a little bird told me that Liz, our agent is putting the final touches on our land tour going to Boston tentatively in late June 2017. Local classes are on the agenda and we will hop over to the Cape Cod area as well. Stay tuned for that one as well. What a lovely group of ladies! They have us all staying at the Brookstown Inn in Winston-Salem, NC - adjacent to historic Old Salem. I understand this is an old converted cotton mill. Can you imagine the ambience? It is so quaint. High beamed ceilings, HUGE rooms, fantastic bathroom, all the amenities that could ask for including a Keurig pot and wi-fi - what more could you want. Well I tell you what more, they have wine in a seating area and at 8 pm. cookies and milk. COOKIES AND MILK! Oh well, I'm in heaven. We have a large class and that just means that much more fun and orneriness. So happy to be here. We covered a lot in one day and today and tomorrow we get into heavy needle felting and some stump work techniques. Such a fun piece. Unfortunately, it will be retiring soon but it has been a great journey sharing it with fellow stitchers. Needles 'N Fins - this is a revitalized blog from our past. Well not really because when we last hosted cruises we had no blogs - didm''t even know what they were. Now we have this guy going at the request of several of you. We posted our first itinerary for the season and would love to have you join us. There are two ways to keep abreast of the adventures. First is to visit this blog at www.needlesnfins.blogspot.com. 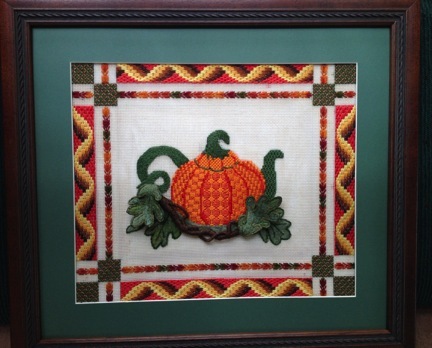 The second is to request to be included in a secret Facebook page called Needles 'N Fins Stitching Cruises. There you will meet like-minded stitchers who share ideas of what we would like to consider for upcoming parties - uh, I mean adventures. It has already been fun and we haven't even done anything yet - or at least had not done anything until just a few days ago. 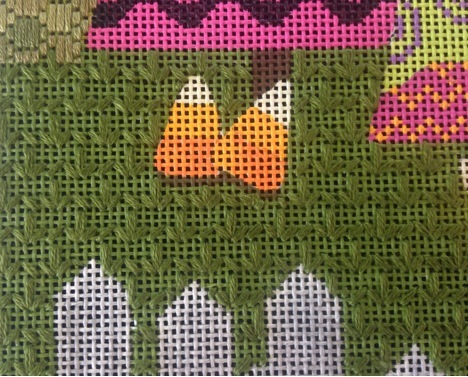 For me it is exciting to work on dreaming up an exclusive needlepoint design for our adventures! The travel agent takes care of all the off-ship tour opportunities - with plenty of needlepoint and needlart themed trips when available. But I get to play with the needle and thread with the participants when we are onboard. We are very excited to be able to offer this opportunity to you all. Come join us and see what the hubbub is all about! The first cruise will take place October 19-29, 2017. Hurry and register though because my agent just gave us the heads up that the cruise company is raising their prices August 15 (about $300) and those of you who have already registered and paid your deposit are in at the current rate and the rest of you still have 10 days to take advantage of those prices! Don't drag your feet on this one - and only 130 spots to begin with and they are going . . .
And don't worry land lovers, we're working on a specific one for you too. A friend is working towards helping an artisan in Russia who needs to have so many 'hits' to her class site in order to be eligible to be hired as a teacher and paid. 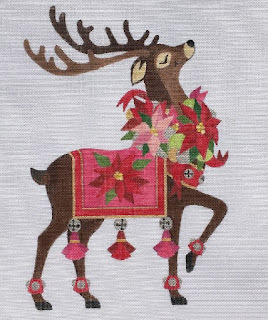 All you need to do is sign on at this link and start listening and watching ribbon embroidery basics - FREE - NO CHARGE - do a good thing and help somebody! Online Mystery Classes: Invoices are being processed for our next class Robin's Wreath from Melissa Prince Designs. WOW! Look at all the 'stuff' I can get into. Mostly unique thread manipulation going on here on this one. 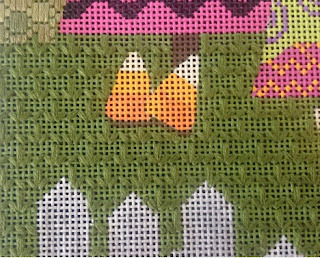 Ribbons, straw silk, few beads, thread painting, AND, I know this is going to be a shock - there is actually a background for those of you who want covered backgrounds - well, almost covered. There is still time to join us as the first lesson does not become posted until September 15 so if you want in just email me and we'll get you all set up. TO REGISTER: Send email to me at duodesignsinc@yahoo.com and we'll take it from there. If you need assistance in gathering materials we can steer you in the right direction there too. Next on the horizon will be our last Online Mystery Class for 2016 which will be the Santa's Reward design from Devon Nicholson. Registration is currently open for this wonderful guy so just let us know if you want to participate. contact information is the same as above . 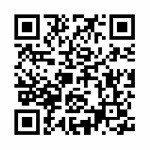 Soon we will post our Online Mystery Class schedule for 2017. OH MY! It makes my head spin! In the meanwhile to keep from getting bored, we have lessons to be posted in a few days. We share the last lesson of our Thanksgiving Critters by Melissa Shirley. Lesson Two of Happy Haunting Grounds by Eye Candy hits the Internet. And a new Session for the infamous Arctic Parade by Brenda Stofft will be forthcoming. Worked somewhere in between there is laundry and packing to prepare for upcoming classes at the ANG Seminar in New Orleans! Will be here before we know it! So, have a great day and remember to Stitch with a Smile!